We love to beautify our lives, and with decorative coating improving and expanding all the time, it is no wonder that the decorative coatings market is expected to boom; the global decorative coatings market is expected to reach a worth of $114.72 BILLION by 2021, growing by $28 billion from 2016. Decorative coatings are considered “architectural coatings”; they are used in residential, commercial, institutional and industrial buildings, for interiors and exteriors, and are water- or solvent-based. In this article we will discuss the many different varieties of decorative paint, and all the ways it can be used to liven up and protect a wall, door, window, space, building, and more. 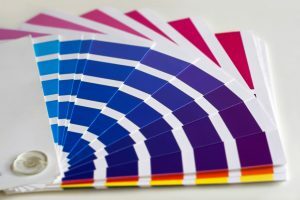 We will look at the best decorative coating brands in the US, and where to find products and suppliers across the country. Fire resistant paint: A safety paint that emits a flame-damping gas, or forms an insulating char layer when exposed to extreme heat. Anti-slip coating: By using an anti slip aggregate such as rubber or a slip-resistant paint formulation, these coatings protect against slippery conditions on all substrates. Antimicrobial coating: Particularly useful in healthcare, food production, leisure facilities, and even schools, an antimicrobial coating prevents the growth and spread of microorganisms on surfaces. Anti-graffiti coating: This is a either a nano coating or wax-based coating which provides a barrier over a substrate and prevents graffiti from adhering. Anti-pee coating: A coating which uses the hydrophobicity of nano coating to repel urine and deter would-be vandals. Concrete coating: Garages, cellars, factory floors, sheds, all of these could benefit from the protective power of a concrete paint. Decorative coating for interior and exterior use – know the difference! It may seem like paint is paint, and surely it doesn’t matter whether you use it outside or inside. While this might have been true a couple of decades ago, advances in coating technology mean that today the differences between exterior and interior coatings are far more pronounced. 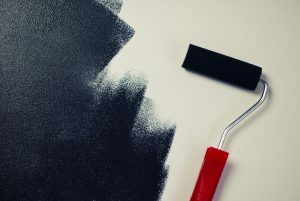 The solvents used for both are either water- or oil-based, and the differences lie in the pigments, resins, and additives that provide these paints with the qualities needed to work their best. An interior decorative coating has low VOCs and is usually water based. For an interior paint, the ability to withstand harsh environmental conditions is not that important. What they do need, however, is low VOCs and abrasion resistance. The resins are more rigid than those in exterior paints so the paint is less prone to damage – helpful when it comes to scrubbing and cleaning. There is also less risk of fading from exposure to UV radiation, so more organic pigments can be used. 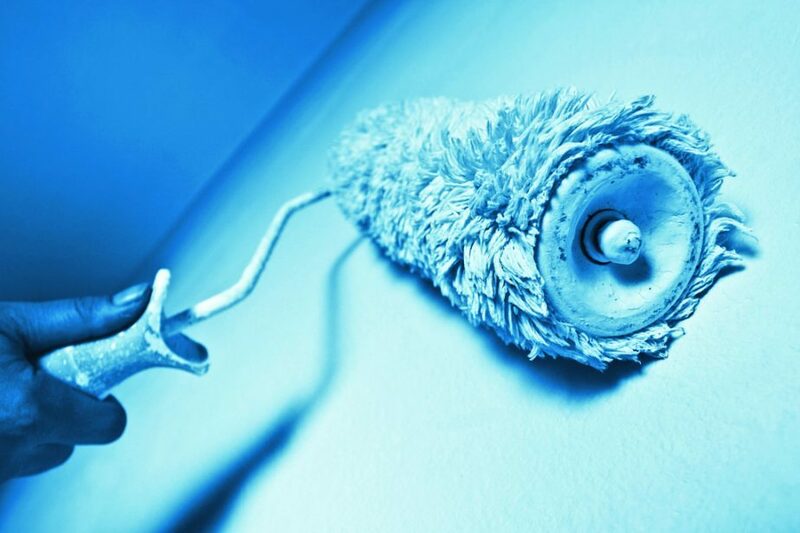 Because of the desire for low VOCs and low odor formulations, the majority of interior paints are water-based. An exterior paint is exposed to all the damaging elements the world can throw at it. Rain, temperature variation, and most importantly UV radiation are all conditions the paint will need to withstand. Because of this, exterior paints are formulated to deal with harsh conditions without peeling, fading, chalking, or blistering. They avoid pigments known to fade or contain higher quantities of pigment, have more elastic resins to flex with expanding and shrinking substrates, and many contain anti-mildew additives. Flat and Matt: These paints have the lowest levels of glossiness of all the finishes available, at roughly 0-10% sheen. This means they are non-reflective and will hide surface blemishes and inconsistencies, effectively smoothing the surfaces on which they are painted. These are mostly used for walls, and have a smooth and velvety appearance. Semi- and high gloss: The most reflective of the decorative paints, these are traditionally used for skirting boards, doors, moldings, window, and other trim. It is also the toughest finish. Due to their high levels of sheen, gloss finishes show up imperfections, so it is important to prepare the substrate beforehand. Eggshell and satin: These are the “mid-sheen” finishes. They have some reflectivity (satin is slightly glossier than eggshell, which looks like its namesake), and are more durable than the flat and matt finishes. Because of this, they are often used in more demanding spaces like kitchens and bathrooms, and satin is often used for doors and trim. Decorative paint comes in many colors, and the color choice affects how the ‘feel’ of a space. Education – Schools and universities aim at providing a pleasant and encouraging learning environment. Overstimulation through too much bright coloring – especially in primary schools – can lead to distraction and inattentiveness. Neutrals with spots of color strike the right balance. Offices and reception areas – A reception area needs to invite, welcome, and interest a visitor. Avoid natural tones and choose warm, soft colors. An office needs to be a space in which a worker can be productive and happy. A doctor’s office requires soothing colors to calm patients, where cubicle workers need stimulating colors to boost alertness – though not too stimulating, bright reds for example can also increase stress levels. Healthcare – In the healthcare sector, decorative paint contributes to the mood and possibly even wellbeing of patients. The goal is to make them feel comfortable and at ease. Blue is often used in healthcare settings because it is a color which promotes calmness and serenity, a symbol of rest. With such a healthy industry, it can be no surprise that the US is full of hardware stores and decorative coating companies. Companies like AkzoNobel (Dulux), Crown Paints, Behr, PPG, and Valspar all provide their range of decorative paints for the extensive US market. Below is a very limited collection of paints available, to give an idea of the price range on the market. If you have a project and require decorative paint, our experts are here to help. Take advantage of our 100% quote service by clicking on the “Request a Quote” below the article, and let us connect you with a coating solution for your project. We, in collaboration with our coating partners, can help you find the coating you need.